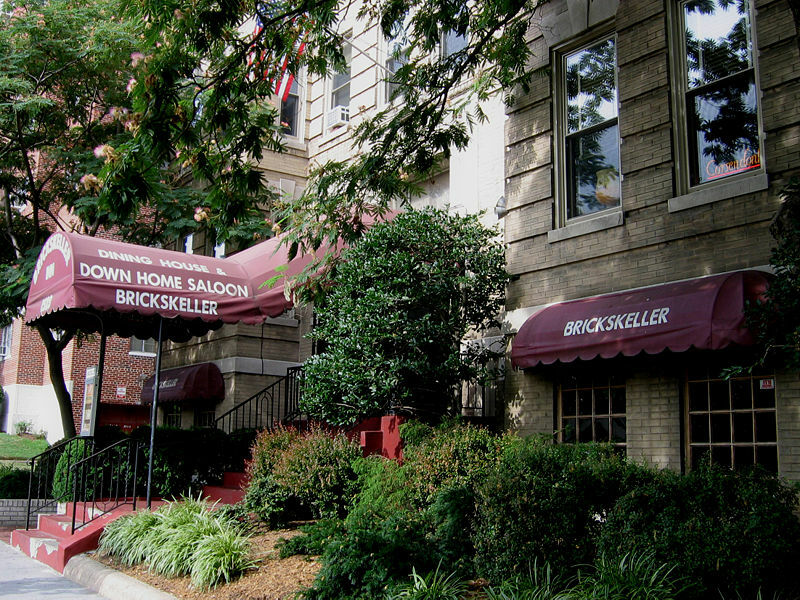 Booze Buzz: Brickskeller Can Be Yours for Only $12.5 Million! You’ve been there – several rounds into an evening of “Around the World” at DC’s most famous beer bar – when someone in the group has a brilliant idea. “We could totally do this,” is usually how it starts, before listing all the reasons that you and your friends are ideally suited to run a place just like the Brickskeller. Though you won’t see a “For Sale” sign out front or a listing for an open house this Sunday, the Brickskeller is officially on the market. Randall Hagner Ltd. Showcase lists 1523 22nd Street – the “Brickskeller Dining House and Inn” – as being available immediately for the low, low price of only $12.5 million (down from $15 million a week ago). The best way to find it from the home page is to do a search for properties in ZIP Code 20037. The entire five-floor building is for sale, including 40-plus guest rooms on four floors and the two-floor restaurant/bar. The alcohol license will convey to the new owners, but you won’t be able to keep the memorabilia or even the Brickskeller name – the current owners will be holding onto those. I can’t speak from personal experience, having never drunk enough downstairs to necessitate an overnight stay, but the general consensus is that the rooming house-style Inn has seen better days. Guest rooms share common bathrooms in the hallways and are accessed via stairs or a hand-operated elevator. Check out the flyer, a .pdf found on the sale listing page, for more details. And if you’re already drunk when you read this, do yourself a favor and sleep on it before making an offer right away. Wow, this is big news. End of an era, but I agree—whatever ends up there will do just fine. I worked there 8 years ago. I remember when all the Texans came in for the inauguration and drank all the Shiner Bock. Whoever may read this and might even consider investing in this place here’s a quick warning! : Forget about it! The place is infested with Alot of mice, and has a severe fruit fly swarm attacking all the patrons. The foundation is rotting away and there’s a terrible stench of rotting corpses in several places all over. The owner is just selling the place because he opened another restaurant near Gallery Place and he didn’t keep this place up. Tax time is coming and he won’t be able to pay it. The brick is not making any money so don’t believe the hype. I feel bad for his family who opened the Brick 50years ago. Dave buried this company years ago and now he’s just running away from his obligations.good luck Brick staff and find new jobs, I did and in good timing, too! Who cane up with this? I would like to know since my wife and I OWN the Brickskeller and are NOT SELLING IT. I’m happy to provide a statement to anyone who wants to contact me about the content of our conversation on Thursday. At no point did you even suggest to me that anything you were telling me was not for public consumption. The listing for 1523 22nd Street, NW was publicly available on Hagner’s website – that’s where I first found it. I fail to see how my post’s drawing attention to it constitutes any wrongdoing on our part. Because the listing has been withdrawn, I’ve included an edit at the top of the post to indicate this. wow… bringing out the cayenne! Also, I love Brickskellar and their many, many beers. Hilarious. It’s on the market, it’s not on the market, it’s publicly listed, it’s not publicly listed. This is wildly entertaining. Also, I’m not sure what kind of “legal action” can be taken against someone merely for writing about a PUBLICLY available real estate listing. This is FABULOUS. Don’t you dare take the post down! I love me a good interwebs squabble. Especially one where legal action is threatened with absolutely no grounds for it. NICE. I’ll totally represent you if they institute legal proceedings! At this point, we have not heard anything further from the owner or Hagner, but we’ve spoken to one of our lawyer friends just in case they do decide to follow up.